I'm having a serious UK obsession moment right now. I've been daydreaming about autumn in Ireland and England, and am totally nostalgic for my trip to London during study abroad Sophomore year. I adore the tradition and class that the United Kingdom embodies. One of the best parts of the UK is their style; they were the birthplace of prep after all! From traditional brands like Barbour to modern super-stores like Topshop they have it all. I love how she can go from girly, to classic, to trendy so effortlessly! Her personal style is fab and I can't wait for the weather to cool down so I can try out some of her awesome looks! Do you love British style as much as I do? 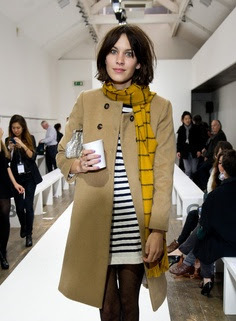 Who are your favorite Brit style stars?